If there was one major criticism levelled at Rudimental’s debut ‘Home’, it was the repetition of their formula. Nobody wants an album where every track sounds the same. Creating a sound is to be commended; rinsing it to death, not so much. Two years later we have follow-up ‘We The Generation’, an album that fails to live up to the ambition and grandeur of its title. Distilled down, Rudimental’s music essentially consists of drum and bass breakbeats, soulful guest vocals, and lots of trumpets. That’s as true now as it was before. It’s not long into opening track I Will For Love that they’ve ticked every box. Eighteen tracks later and it feels like those tick boxes are more like a noose around the band’s necks; for the listener it’s a time machine back to 2012, when breakthrough hit Feel The Love was omnipresent and the Olympics were in full swing. The only thing missing is Emeli Sandé. Geejam Studios in Jamaica seems like the perfect place for Rudimental’s laidback vibes and trumpet calls, which now have a touch of reggae cool about them. It’s also the perfect location for these sun-dappled, alcohol-soaked summer anthems, though arriving in October you can’t help but feel they’ve missed the boat. Still, for anyone looking to recapture the warmer months, there are some incredibly polished tracks here – vibrant, energetic and infectiously rhythmic. The likes of I Will Never Let You Go and Love Ain’t Just A Word are as strong as any of their previous singles, even if they sound too familiar. The band may have their limits, but they undeniably work well within them. It takes their vocal collaborators to force them out of their comfort zone – some more readily than others. Anne-Marie may not have appeared on ‘Home’, but she’s since toured with the band and finally features on a variety of this album’s tracks: from the pulsing 90s house of Rumour Mill, to the pop funk of Foreign World, and the subdued, Naughty Boy-esque ballad All That Love. More successful are the tracks with Ed Sheeran (the guitar-driven Lay It All On Me especially), Lianne La Havas (Needn’t Speak tackle bossa rhythms, whilst Breathe brings a disco flavour) and the late Bobby Womack (New Day adds an old school rhythm and blues feel to the typical horn stabs and frantic beats). MNEK reappears from the last album, delivering a house track whose influence is far more his own than that of Rudimental themselves. And of course there’s a track featuring Ella Eyre – Too Cool - which sounds like an Ella Eyre track, thereby sounding like a Rudimental track. How meta. The result is an album that’s inconsistent and not always coherent. There are tracks here that sound like Rudimental-by-numbers with a guest vocalist tacked on. And there are tracks that sound more like the guest vocalist alone, with Rudimental’s name tacked on. Mostly, whilst the band do experiment outside of their safety zone, the risks don’t always pay off. Are Rudimental producers for other artists? Or artists in their own right? And will they forever be stuck in a time warp? These are questions that ‘We The Generation’ fails to answer. 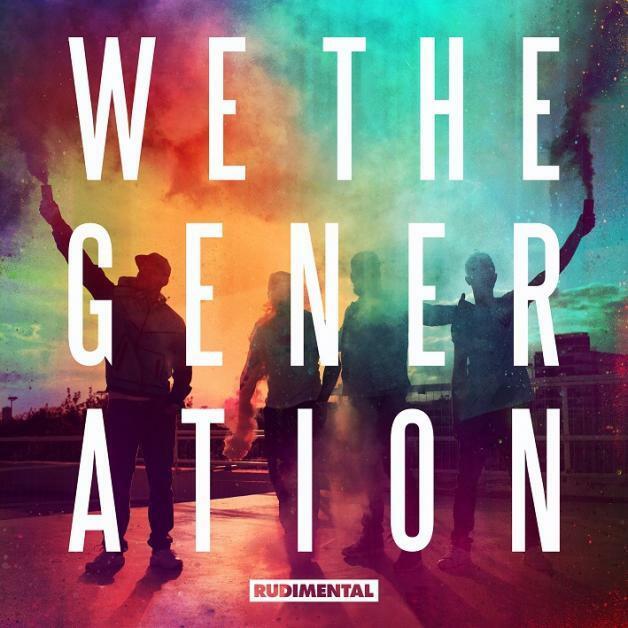 Listen: ‘We The Generation’ is available now.